Hello again, and welcome back for Day 7 of our 31 Days of Horror series! Man, Day 7 already. If you’ve been following along with us this month, we appreciate it so much! Charles and I have had a blast sharing these reviews with you so far, and hope you’re enjoying them as well. Today we’re venturing into the 1940s (my jam! 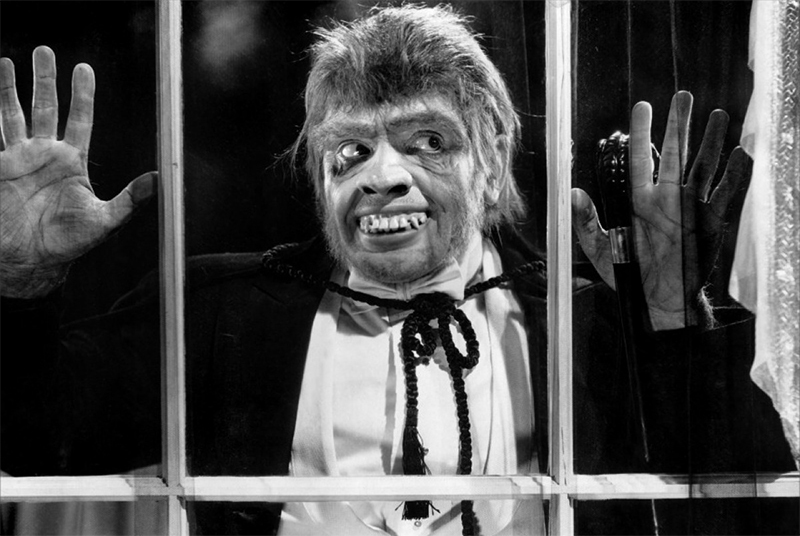 ), and the first movie on the docket is 1941’s Dr. Jekyll and Mr. Hyde. This is one of those stories that is so much a part of popular culture that it barely requires a synopsis anymore (although of course I will give you one, because, hey, that’s what we do!). The Robert Louis Stevenson classic has seen more than its share of movie adaptations over the years, but this 1941 Spencer Tracy gem is one of two fairly iconic retellings. The first came in 1931, starring Frederic March (who won an Oscar for his portrayal) and Miriam Hopkins. I mention this tidbit mainly because there are some dramatic Hollywood departures from the novel in the ’31 film, and the ’41 film is essentially a remake of the ’31 rather than a strict retelling of the Stevenson story. Interestingly enough, I actually prefer the 1941 film, though both are excellent movies in their own right. 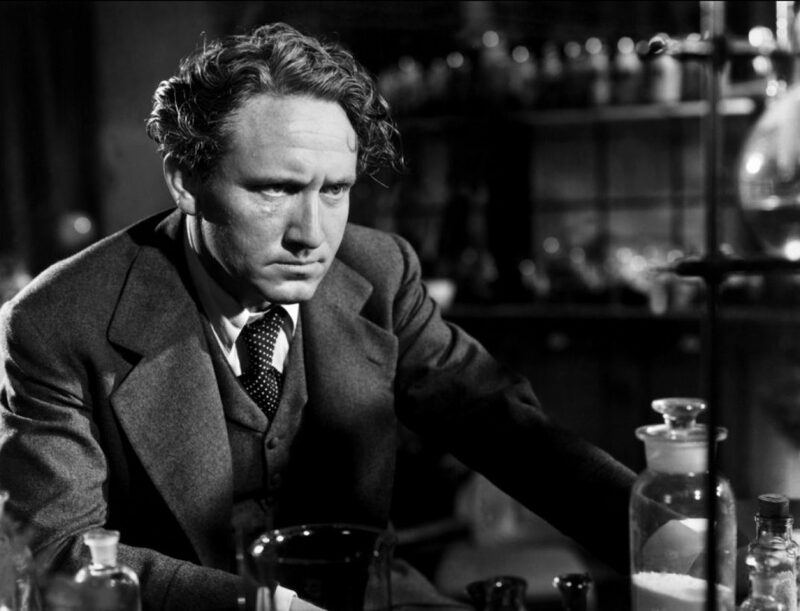 Dr. Henry Jekyll (Spencer Tracy) is a successful and well-respected London doctor in the late 1800s. He is happily engaged to the love of his life, Beatrix Emery (Lana Turner, in a very touching performance), despite continued efforts from her father to drive them apart. The other great commitment of Jekyll’s life is to his ongoing research into the possibility of chemically separating the two sides of a man’s psyche: good and evil. Jekyll believes that there is evil dwelling in all of us, not just those who are outwardly so, and this opinion is extremely contentious among his circle of staid medical colleagues. When he is presented with an encouraging case that seems to support his theories, he begins developing a potion that will sever the connection and “free” the two halves from one another. No one will take his findings seriously without proof, of course, so Jekyll’s only choice is to test the serum on himself. The effects prove disastrous, as the brew unleashes his cruel alter-ego, Mr. Hyde. 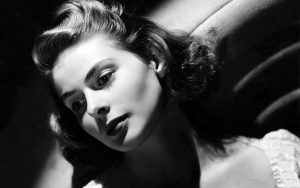 As Hyde, Jekyll rains down verbal and physical abuse upon a seductive barmaid (Ingrid Bergman) who tempted him on the street (and whom he refused, as Jekyll) weeks before. She becomes his prisoner, and the psychological torment he inflicts on her is frightening, even to the viewer. Hyde is truly evil incarnate. While at first he is only brought forth by drinking the potion, eventually Hyde is able to take Jekyll over to such an extent that the potion is not needed. Jekyll transforms at random, without any semblance of control, and Hyde ultimately leads him to his doom. 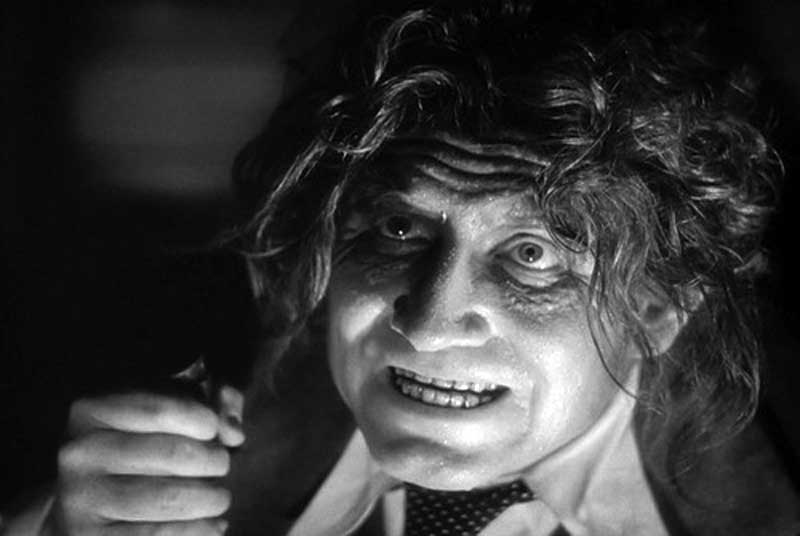 Dr. Jekyll and Mr. Hyde is carried largely by the performance of Spencer Tracy. I absolutely love the casting here, as Tracy is already kind of a lumpy, meat-and-potatoes everyman. His charm lies in his gruff kindness, and the twinkle in his eye when his leading lady enters the room. To me, that makes for a perfect Dr. Jekyll: a man who is extremely loving and dedicated to his craft, but when that goodness is stripped away he’s left with nothing but the same inner ugliness as the next person. One subtlety that I also appreciate about the 1941 version over the 1931 film is that when Jekyll transforms into Hyde, Tracy’s makeup is much more minimal than that of Frederic March as Hyde. There is an obvious transformation, of course, but it just looks like an uglier, baser version of Spencer Tracy. He doesn’t turn into a ghoulish, hairy animal, which I think plays very well into what the movie is trying to say. It’s an interpretation of Stevenson’s story that is much more about inner demons, and the dark and light sides warring within each person, than it is about turning into an actual beast. This is a great movie, and I think Tracy brought a lot of his own personal demons into the performance, which makes it that much richer and more meaningful. He grappled with alcoholism (and its consequences) throughout his entire life, as well as having a very public, decades-long affair with Katharine Hepburn. Playing this particular role, in this particular adaptation of the story, was highly significant; it makes me wonder how much audiences were aware of at the time, or if it’s something that seems more poignant now that the intervening years have shed light on his personal life. Either way, the dimension Tracy brought to the role fascinated me, and it will certainly beg repeat viewings in the future. I can’t believe I’m about to say this, but my least favorite thing about the movie might just be Ingrid Bergman. It’s an odd notion, because she’s such a wonderful actress (among my personal favorites, and this was just one short year before Casablanca! ), but I really think she was miscast here. Her beauty, her voice, her bearing…she’s simply too duchessy and regal for me to ever fully believe her in a role as a tarty good-time girl. Not that she doesn’t have the acting chops, but it’s just weird. Another contributing factor might have been her forced Cockney accent, a la My Fair Lady, which sounded completely bizarre when paired with her natural Swedish lilt. It seemed like they were trying to de-Bergman her by any means necessary, which I feel could have been just as easily (and more effectively) accomplished by casting a different person. To use another example: you couldn’t just give Grace Kelly a gold tooth and say to your audience: “See! She’s unsophisticated!” Girlfriend is still going to rock it, because she’s Grace Bleeping Kelly. Same concept with Ingrid Bergman. Tomorrow I will be reviewing The Uninvited (1944), which, if the cover art is any indication, will cause me to wet my pants a little. Ray Milland always gives me the creeps (he’s like a poor man’s Jimmy Stewart, without the adorable younger years), even without floating ghost-bodies in repose. We’ll see if that tradition carries on in this film. Until then, thanks for reading, and for continuing to join us for more 31 Days of Horror! !